Dr. Broderick Woody has been supervising intensive, in-home therapy for children with autism since 1999 and is a co-founder of AIM. She completed her undergraduate degree at Marquette University, and doctorate at the Illinois School of Professional Psychology. Clinical training included appointments to University of Chicago’s Hyperactivity and Learning Problems Clinic and the Milwaukee County Mental Health Complex. She previously trained and functioned as staff psychologist at an NIMH replication site of the research of Dr. Ivar Lovaas, was on the pediatric medical staff at the Milwaukee County Mental Health Complex, and has presented in the media and at conferences on autism-related topics. Aimee earned her undergraduate degree in psychology from the University of Wisconsin-Madison in 1994 and completed an internship with the UCLA Young Autism Clinic in March 1995. Before co-founding AIM in 2002, she acted as Clinic Director for a NIMH replication site, serving children on the autism spectrum and their families throughout the United States, Canada and the United Kingdom. Aimee earned her M.A. in Applied Behavior Analysis from Ball State University in December 2017 and became a Board Certified Behavior Analyst in May 2018. She currently serves as the Director of Clinical Programming. Amy has been supervising intensive in-home therapy for children with autism since 1994. She has consulted on such cases in over five states and in Canada, as well as facilitated social skills groups, sibling groups, staff trainings, and parent training classes. Seeing daily improvements and watching the children blossom into their own is the most rewarding part of the job. Mrs. Leidel earned her undergraduate degree in Sociology and Spanish from the University of Wisconsin-Madison in 1995, and her Masters in Clinical Social Work from the University of Wisconsin-Milwaukee in 2005. In addition to working with children and adolescents on the autism spectrum, her background includes running a day treatment trauma group with adolescents, as well as providing individual, family and group counseling services. She joined AIM in 2008. In her spare time, she enjoys attending numerous sporting events with her family. Jenni earned her Bachelor’s in Business Management from Cardinal Stritch University in 2003 and has been with AIM since 2010. She has accumulated over 20 years of diverse experience in human resources along with overall systems administration. 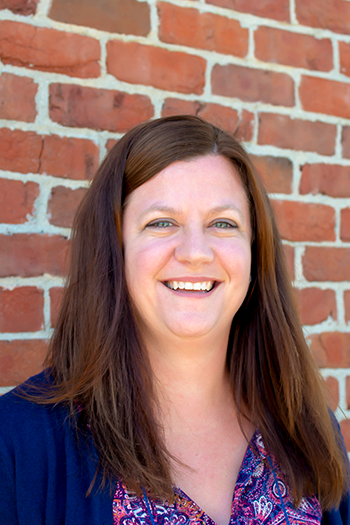 At AIM, Jenni is responsible for managing all administrative aspects of the business including human resources, billing, customer service, and management of staff. She enjoys working with our employees to ensure AIM is providing high-quality therapeutic services, with attention to the highest demands of ethical practice. Elizabeth Klick has enjoyed working at AIM for the last 13 years. She got into the field as an undergraduate student at the University of Wisconsin-Milwaukee in 1998, working as a Behavioral Treatment Technician and immediately saw the impact that ABA had on the kids and their families. Elizabeth continues to find teaching children with ASD and coaching their families as the most rewarding part of her career. She is currently in graduate school to obtain her master’s degree in ABA and hopes to be a BCBA in the near future. Elizabeth is married with three children of her own and her hobbies include reading, gardening and watching her own kids enjoy their pursuits. Mark began his career working with kids with ASD in 2006 when he was offered a part time position working with a teen who was receiving post-intensive therapy. As Mark worked to finish his undergraduate degree in psychology he found himself working full time with 6 different kiddos. Mark graduated from Carrol University in 2007 with a bachelors degree in Psychology. It was about a year later that he met Aimee Kohn as one of the kids he was working with attended AIM’s summer program. From there he was offered a position with AIM and began working as a behavioral treatment technician. In 2010 Mark was promoted to behavioral treatment therapist. Mark is an avid outdoorsman and “Do It Yourselfer.” Outside of business hours you are likely to find him in the woods or building something. Sally has been working with AIM since 2006. She demonstrates her passion for working with others through direct engagement with her clients and the staff she supervises on a daily basis. Before starting her employment at AIM, Sally was a student at the University of Wisconsin-Milwaukee with the goal of one day becoming a nurse. Her major quickly changed after responding to an email from the psychology department and her employment as a Behavioral Treatment Technician with AIM began. She graduated from the University of Wisconsin-Parkside with a Bachelor’s of Science in Psychology in 2013 and her goal of being a Behavioral Treatment Therapist was met. Outside of work, Sally enjoys spending time with her family, friends and two cats. She enjoys traveling to new places and staying active outside. Jesse has a long history of working with individuals with special needs and abilities. He grew up having a father who was a special ed teacher and enjoyed helping out with Special Olympics and at Special Needs and Abilities Playground. Through programs like these Jesse has developed a passion for helping others. Jesse attended Carroll University, where he received his Bachelor’s Degree in Psychology and minored in Sociology. Jesse interned at AIM while in college in 2011 as a Behavioral Treatment Technician. He continued to work for AIM after college and has since become a Behavior Treatment Therapist after gaining many years of experience and putting forth hard work with the families and children he works with. Jesse loves his work with AIM because he believes everyday brings about creative opportunities to help children with Autism Spectrum Disorder and their families. Jesse also feels that nothing beats the experience of getting on the floor, playing and getting a child to laugh and enjoy learning. Outside of work, Jesse is an avid sports enthusiast. Jesse was a student athlete during his 4 years at Carroll University and was a captain of the Carroll football team which helped him to gain valuable leadership experience. Jesse also enjoys fishing, coaching Special Olympics Track and Field and spending time with his family. Kayla has been working with young children with developmental disabilities since 2012. She found her passion in this field when she first-hand experienced how effective Applied Behavior Analysis is in changing the lives of her clients. 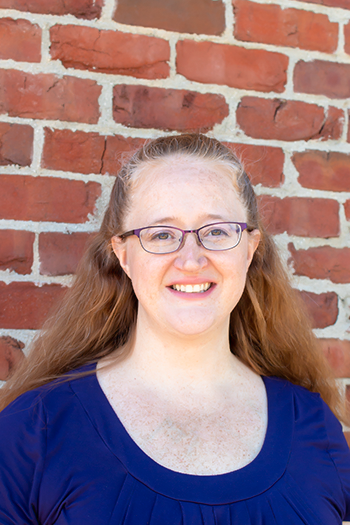 Kayla has extensive experience with effectively reducing problematic behaviors and increasing functional communication, social and daily living skills. In addition she has devoted much of her time teaching parents how to care for a child with special needs. She holds a BA in psychology from the University of Wisconsin-Milwaukee. She is in the process of obtaining her M.Ed in Applied Behavior Analysis at Arizona State University. Kayla has her level one certification in Peak Relational Training; an assessment and curriculum tool for individuals with autism. When not working in the field, you can find her doing many recreational activities such as hiking around the state of Wisconsin, kayaking on the Milwaukee River, checking out local festivals, and traveling to new places. Amber has a Bachelor’s degree in psychology from Ottawa University. She began working at AIM in December of 2012. Amber loves seeing the children progress and learn to connect with the people and world around them. Amber enjoyed working with this population of children so much that she began to pursue a Master’s degree in special education. However, she soon discovered that she preferred to work with each child and their families in a more individual setting. In February 2016, Amber made the decision to stop school for special education in favor of staying at the job she loves, working with young children on the autism spectrum and their families. In her free time, Amber enjoys reading, doing a variety of craft activities, and game nights with her family and friends.